A NUMBER of major coal mines in Central Queensland lack on-site safety representative - a role considered at the forefront of protecting workers. The revelation comes just weeks after 21-year-old Bundaberg man Sean Scovell was killed at a mining quarry south of Moranbah. The legally-recognised site safety health representatives are full-time mine workers elected by others on the site. They often act as a conduit between management and those workers reluctant to report unsafe conditions out of fear for their jobs. If a company tries prematurely to put its staff to work after a safety breach, these "safety reps" act as a fail-safe, potentially overruling the mine and forcing the government to investigate. 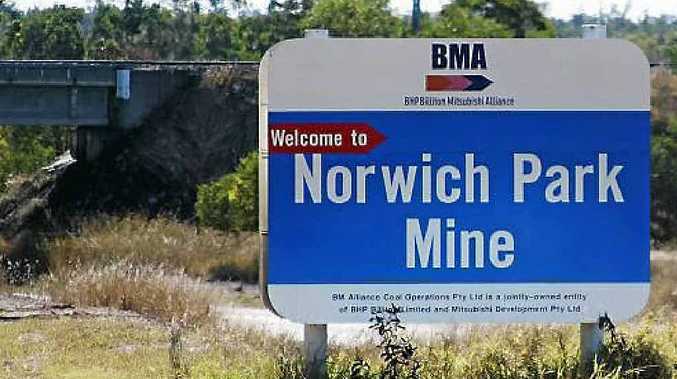 APN can reveal four BHP Billiton Mitsubishi Alliance mines - Peak Downs, Crinum, Saraji and Norwich Park - may all be without the critical staff. Safety inspector Greg Dalliston, from the Construction Forestry Mining and Energy Union, said safety reps were one of the keys in ensuring workers left the site unharmed. "There is potential that when an incident occurs, employers will fix it how they like and keep going," Mr Dalliston said. "If (safety reps) are not happy with how it is addressed, they have an obligation by law to report it to an inspector." Any near-miss or incident on a site must also be reported to the safety reps, so they can see it for themselves. The reason for a dearth of these safety reps is that mining companies are unhappy with unions running these ballots as they have for 70 years. Changes to state regulation made by the former state Labor government mean the chief inspector of mines decides how a ballot can be run. The decision on who does what also delays the voting.Meanwhile, the New Zealand Engineering, Printing and Manufacturing Union has demanded its government create safety reps for NZ mines to ensure it does not face another Pike River Mine disaster that killed 29 in 2010. A spokesman from Department of Mines said if mines were without these safety reps, it was because the position was vacant while elections were organised. If the mine and union do not agree on who will run the ballot, the department will bring in an independent group to run them. He said one mine ballot would be held by the Australian Electoral Commission but declined to say which one. A spokeswoman from BMA said it was "not unusual" to have vacancies in these roles, but comprehensive safety measures remained in place. Rio Tinto confirmed its Clermont Mine was without a permanent safety rep, but a short-term replacement had been found. Both BMA and Rio Tinto were now working with the State Government to fill the safety representative roles through an election process.